The gialloblù are stopped at home on the 0-0 from Lazio and are now in fourth place driven by Rome to only one point behind. A game whose result is fair enough; few net chances on one side and the other and two teams that fail to outdo each other. The first fifteen minutes speak only Fortitudo with the speed actions that develop on the left with Carraro and Gelmetti and with the shot from outside of Dallagiacoma that ends up high. Lazio began to take control gradually but proved inaccurate in front of goal and unable to hurt the Gialloblù rearguard. At 24 'Fortitudo complains about an intervention in the area on Carraro, but the midfielder is warned for simulation. The first 45 minutes ended with a perfect ball by Peretti for Dallagiacoma, who however headed it out. The recovery starts immediately with a shudder, when Caliari proves to be decisive and moves away the ball left on the goal line after a Lazio shot. The coaches try to unlock the match with the changes, but the situation remains unchanged. At the end of the race Gelmetti serves Pinna who tries to hit the second post but Natalucci manages to block. 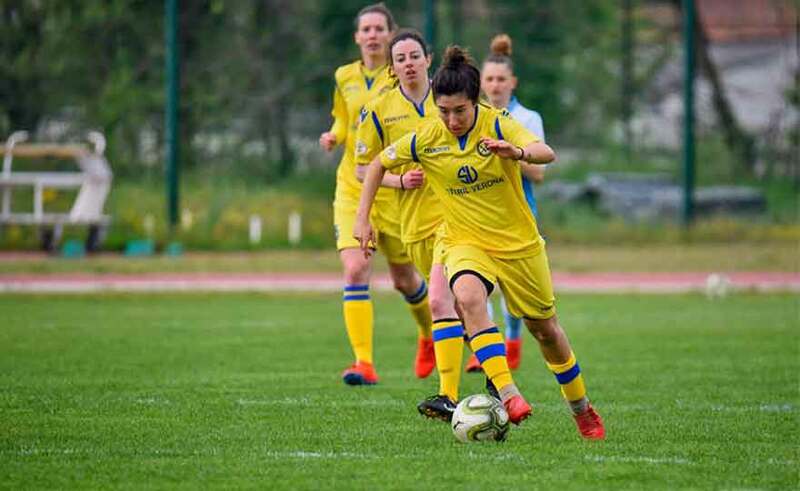 Bragantini's girls come out of their home draw with their heads held high and are now preparing for the high-ranking match with Ravenna on Sunday 21 April. Fortitudo Mozzecane: Olivieri, Bonfante (31 'st Borg), Mele, Peretti, Groff, Caliari, Dallagiacoma (14' st Martani), Carraro (14 'st Caneo), Pinna, Benincaso (31' st Pecchini), Gelmetti. Available: Perina, Salaorni, Pavana, Pecchini, Caneo, Borg, Martani. Lazio: Natalucci, Gambarotta, Di Fazio, Vaccari, Savini, Picchi, Palombi (41 'st Weithofer), Lorè (36' st Di Giammarino), Coletta (41 'st Proietti), Castiello, Cianci. Available: Felicella, Santoro, Dachille, Weithofer, Proietti, Di Giammarino, Pezzotti. Assistants: Bianchi (Pistoia), Cinotti (Livorno). Notes: ammonite Carraro, Caneo, Caliari.